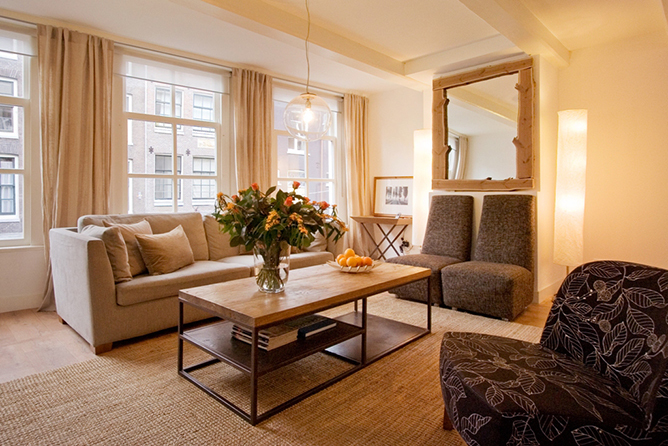 Searching for interior design ideas for small apartments? Organizing a small space can be a real challenge to make more out of a room. Often it feels tiny and crowded in the end. Here you will find 7 tips on how to make your small dwelling look larger. Pick one or two ideas and learn how to bring them to life with the help of the best software for interior design. Choose room colors to start your design or renovation. Color is a significant aspect of small apartment interior design. There is hardly a better decision than light walls, floor, doors and curtains for a small room. Plain hues as classic white, elegant grey, delicate beige help to maximize the space and make it feel bigger. Note that vertical stripes on the walls make a ceiling seem higher. Mesh chair backs and light shades take on a floating effect and allow the visual to slide through, blending in with the surroundings, and help to make the space appear bigger. Glass or acrylic see-through tables on a metal base help to make the most of your limited space. 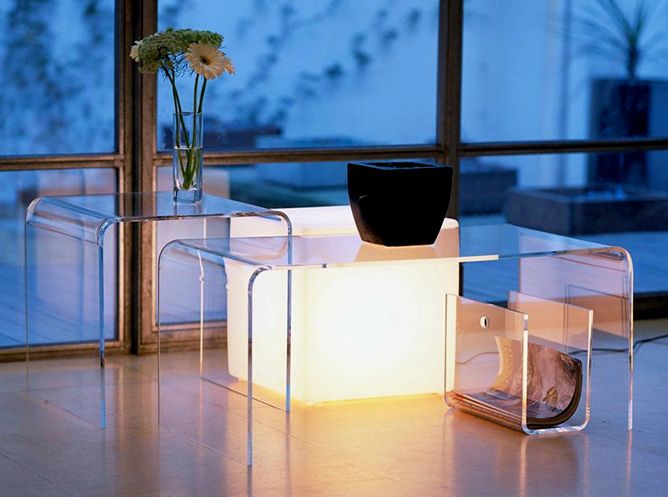 Transparent furniture pieces look modern and stylish and your small apartments will seem spacious and airy. The key role in decorating a flat belongs to furniture. When it comes to furniture design for small spaces, choose small pieces of furniture because they will occupy little space and therefore the room won’t appear overloaded. Outfit your small apartment with adjustable furniture. A caster ottoman and an extending table with a folding mechanism can be easily transformed, moved and rearranged when guests come to visit you. One of the most reasonable decorating ideas for small spaces is to let as much natural light into your small apartments as possible. Opt for curtains that filter the sunlight rather than black-out drapes that block daylight. Further on, a mirror, placed on the opposite wall from the windows, reflects the light spreading it around and maximizing a small room. Metallic pieces of decoration such as a silvery shining lamp, candle holder or clock help to achieve a similar effect and bright your limited space up. A comfortable bed can take a lot of space in your room, leaving just narrow passages between furniture pieces. A built-in bed is the ideal solution for the room that acts as a living room and a bedroom at the same time – if the bed is lowered to the floor only at night time, a lot of area is available during the day. Just take into account the doors positions so that you can open them, leave enough space for the bed and you can arrange the rest of the furniture as you wish. People mostly ignore the corners in their home. Meanwhile they are the very area that can turn into an efficient storage of some necessary stuff. Use it to squeeze in corner floating shelves, a comfortable chair, a kitchen cabinet for utensils storage or a houseplant. Have you ever thought of a handcrafted bar? It can make a real banquet hall for the two from your small kitchen corner and it’s one of the best interior design ideas for small flats. If you want to have more spare space, then follow this piece of interior design advice and get rid of things you don’t really need. Seriously, look around and ask yourself if you need or want all your belongings. No way to declutter? Then consider double-duty furniture pieces. A small sofa is good for a tiny room and a small sofa with some hidden storage is twice better. 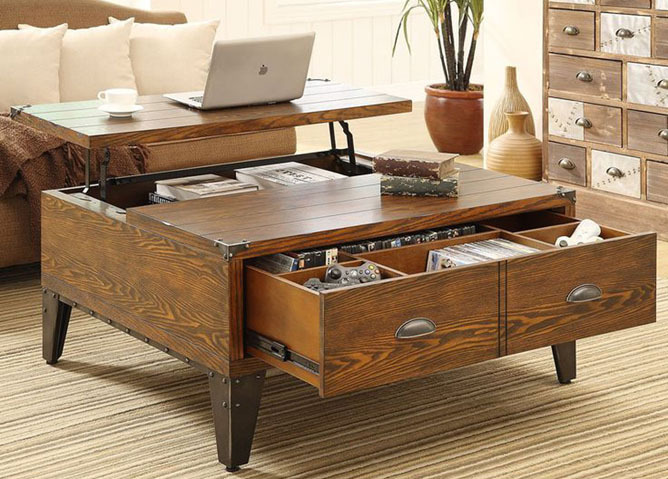 Customize your furniture – a coffee table with a drawer inside or a thin storage unit will save your kitchen space. Create Your Own Interior Designs! These days you can design your apartments on your own with the help of smart 3d floor plan software. Interior Design 3D offers a set of room design samples, a large library of furniture and various materials to experiment with. Start your project from scratch or use ready-made floor plan templates – they will help save your time. 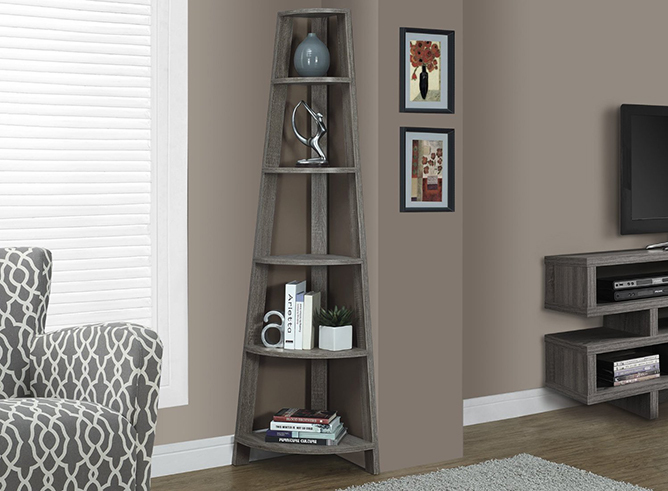 If your space is limited, change the furniture dimensions easily. What's more, the program demonstrates the precise space between objects. You can edit the samples as you like, change textures and colors, and rearrange the furnishing in mere minutes. 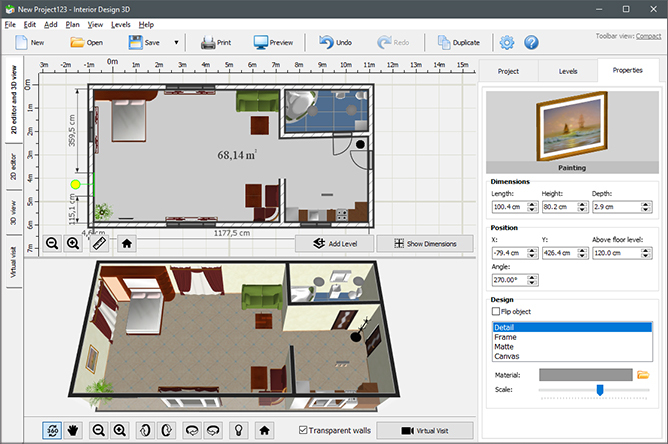 The program is easy to use – you will manage to create a high-quality interior design for small apartments even if you are new to flat planning. Just download the program and feel like a professional interior designer!